Weddings — Penny & Co.
Penny & Co. provides Vintage Trailer Photo Booths for weddings in Northern California. Based in Sacramento, We travel all across Northern California, serving Sacramento, Sonoma, Bay Area, San Francisco, Tahoe and every where in between. Penny & Hugo are more than just a photo booth they are a part of the decor. We help create a classic atmosphere your guest will love. Our wedding package includes up to 6hrs of use to ensure the Photo Booth is up and running from the moment your guests begin to arrive until the last guest departs. 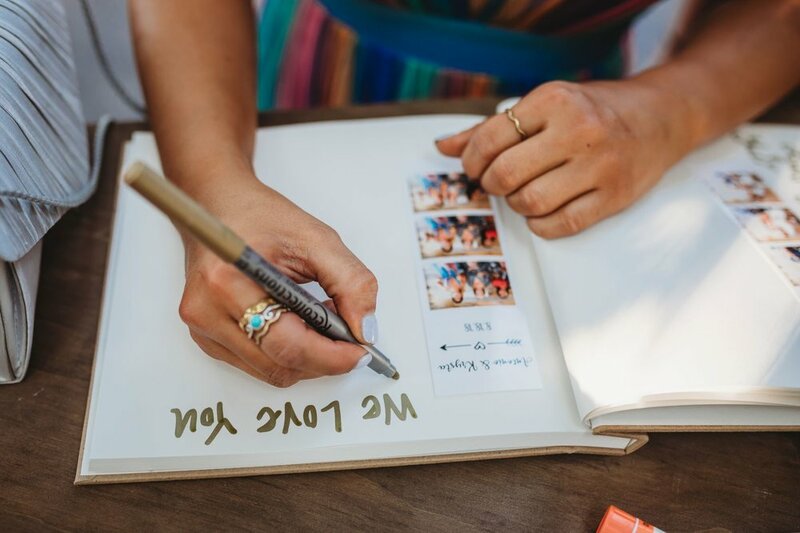 Our gift to you, a photo guest book hand curated by your guests during your reception. It is sure to be one of your favorite wedding keepsakes. Your custom photo strip will be created by drawing inspiration from your invitations, colors, and theme. Each session prints 2x6 strips for both you and your guest. No two props are alike, we search high and low hand picking props that are as unique as our photo booths.